Sorry, this item is sold out. Have BrainCandyInk make something just for you, or try these other items. Jellyfish Flower of Life Leggings - mint gold print on American Apparel Legging colors. 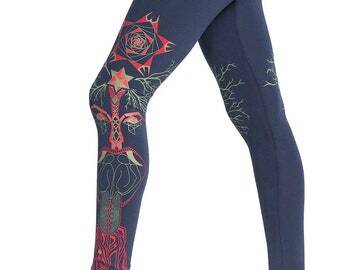 Sacred Geometry Yoga leggings. Jellyfish leggings.